We found 5050 results matching your criteria. CAT PUMPS® is an innovative manufacturer of industrial triplex, high-pressure piston and plunger pumps designed for process and heavy-duty cleaning applications. Their primary objective is providing services and solutions for your pumping needs. They manufacture the highest quality triplex high-pressure pumps and custom engineered power units-pumping systems. Each pump or system is matched with system accessories for safety and control. Their pumps and pumping systems are designed for the application to assure optimum performance and maximum return on your investment. They strive to make your experience with CAT PUMPS® a positive one in all stages of the process including selection, installation, operation and maintenance. If you already have a Cat Pumps model number that you need to find price and availability on, just enter the model number into our search box. Please call Toll Free for volume & re-sale discounts at 1-877-824-7763! Any other questions just give us a call! 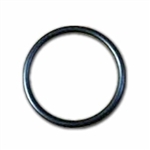 Part # 101030 has a General Pumps description of INJ ASSY, KYNAR HB, 0.057 and is used for repair of most General Pumps on the market today.